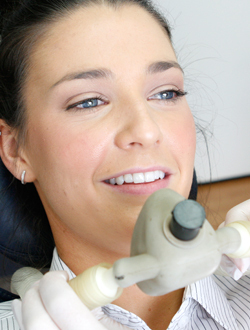 If you suffer from mild to moderate dental anxiety we are able to help relieve your anxiety in a simple effective manner using nitrous oxide gas. Nitrous oxide sedation (Relative Analgesia) is a very safe procedure and suitable for most people. It helps to relieve your anxiety and increase your confidence during dental treatment using a gas that is inhaled from a mask placed over your nose prior to treatment. It is commonly used in combination with local anaesthesia to achieve high levels of comfort and relaxation during your treatment. The effects of nitrous oxide sedation are completely reversible and wear off within a very short period of time upon the completion of treatment. 03 9467 3733 for more information about pain free dental treatment.